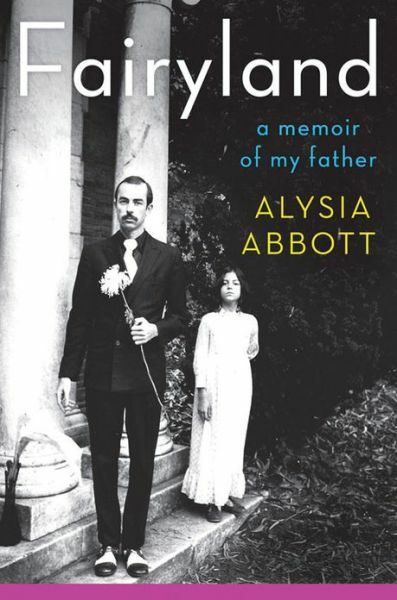 A daughter’s tender memoir of her father’s life as a single gay man in 1970s Haight-Ashbury. When Alysia Abbott was two years old, her mother was killed in a car accident. Her father, Steve, moved her across the country to raise her alone as a gay man and single father in 1970s San Francisco–a pioneer in several senses. Alysia’s childhood and teen years took place against the backdrop of a magical Haight-Ashbury district filled with creative, adventurous people like her father (a poet and political activist), recreational drugs and minimal supervision. Fairyland is foremost a daughter’s memoir of a much-loved parent. She continues to become acquainted with him through her research, most notably in reading copious notebooks filled with his poetry and journal entries. She colorfully renders an iconic epoch in San Francisco, together with the city’s gay culture and politics, and the early days of the nationwide gay rights movement. Alongside beautiful characterizations (often morphing into eulogies), Alysia paints a stark image of the AIDS epidemic and the Reagan administration’s non-response to it. As a personal story and as a portrayal of an era, Fairyland is powerful, loving, authentic, and contains Steve’s artistic legacy in its lyricism. It acknowledges Steve’s impact on Alysia–and both their shortcomings–with gratitude and grace. This review originally ran in the June 7, 2013 issue of Shelf Awareness for Readers. To subscribe, click here, and you’ll receive two issues per week of book reviews and other bookish fun! Rating: 9 brightly colored t-shirts.